Incorporate warmth and sophistication into your space with this rich oil rubbed bronze finish arc floor lamp. The rustic inspiration of this bronze finish arc floor lamp by Possini Euro Design® carries a sense of composed refinement to transform any room. Graceful linear elements combine to support a glass globe, perfect for creating ambience in almost any type of decor. Overall: 72 1/2" high x 35 1/2" deep. Base is 15 1/2" wide x 2" high. Globe is 11" wide x 10" high. Takes one maximum 150 watt standard base bulb (not included). On-off in-cord step switch. 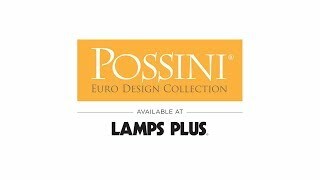 Modern arc floor lamp by Possini Euro Design. Bronze finish, metal arched construction. Glass globe shade. Amber top glass casts a warm light. Looks contemporary and very stylish. It is a very unique lamp and will go with everything in my room. For its styling and to provide more direct lighting to a specific area. 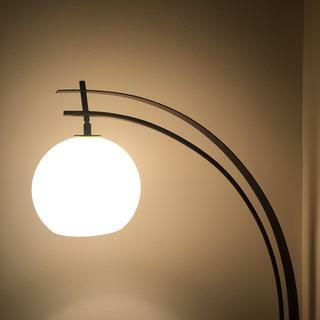 I love the beautiful curve of the lamp stems as well as the lamp shade color and shape. It is a unique lamp and I can't wait to receive it! I loved the arch design and the globe mood lighting with bright light coming from underneath for reading. Hoping it will work over a small game table and double as a reading lamp. 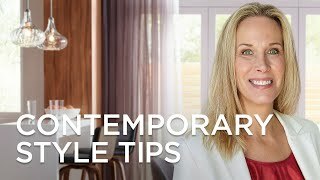 It's unique and I'm looking for unique furniture in my home. Like the style of this lamp. Love the design. I have ordered several times from Lamps Plus and rely on the quality of their merchandise. It's beautiful... It looks to be of very good quality. It has a classy,elegant look. Also it will go well with our oiled bronze/glass stair case. What is the distance from the middle of the base to the middle of the globe (where the bulb is)? BEST ANSWER: The distance from the middle of the base to the middle of the globe is 22". Hmmmn, I measure about 58" and that's from the top of the base (round plate on floor) to about the center of the globe (about the bottom of the bulb). How does the globe stay secure on the arced stand? BEST ANSWER: The light bulb receptacle is larger than the hole in the globe, the receptacle is inserted from the bottom of the globe. The whole affair is tight and secure, love this lamp, I have it in my computer room/office. Gives off plenty of light without blinding me. I am not an expert in the technical terms of explaining this sort of thing. I can tell you that the lamp is very well put together. I feel very confident in the construction and durability of this lamp. It is beautiful, sturdy and well made. It has never been a problem. It has stayed very secure since my first assembly of the lamp. There is a bracket. It is not held in just by the bulb. what are the dimensions of the globe? BEST ANSWER: Hi rena - The glass globe is 11-inches wide and 10-inches high. Absolutely love it & its generous in height! Packaged well. Had to arrange delivery time 4 hour window. Large box with styrofoam to protect it. Will be a hassle to discard of box and foam if you don't have a truck or nice size SUV. I have curb side pick up if I call the city so it's not a problem for me to discard of. Delivery window was 7 hours but the delivery person called a half hour in advance and the lamp was well packed so there was almost no chance of damage. Unfortunately, I bought this lamp seeing only the photos online. The description “rubbed bronze“ is misleading since the metal is simply painted brown. The globe is disappointing. It was described as amber, and looks amber when lit , but is dirty off-white when not lit with a gritty surface texture. If not for the $100 re-ship fee, I would have returned it. I love the lamp. Top quality and so beautiful! I wanted a very tall lamp. This lamp is 67” tall at top of down rod—NOT 72.5”! The globe is really big and in TV line of sight because it is too low. The 8’ Long shipping box was absolutely crushed looking when it was delivered, but unbelievably the lamp “seemed” not to be damaged. The globe does not hang straight down—the little rod it hangs from is not vertical! The flat bottom edge of glass globe is not parallel to floor. Little round felt adhesive pads are provided with lamp to “jack up” the base to get the lamp to be more upright. The whole thing seems racked! Too many aesthetic problems for this price! And dimensions are wrong. Sad customer. And $100 return fee?? It would cost ~$100 to get a shipping box built for it. And who would make a box that big? Box it came in was destroyed by delivery person and gigantic anyway! So I’m stuck with this pricey racked lamp. 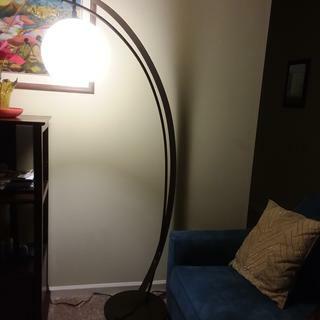 Hello Linda W., we checked and found that this lamp should measure out to be 72 1/2" with a straight rod. It seems that they may be some issue with your lamp that is causing it to measure lower with an angled rod. We'd like to see if we can help you troubleshoot - would you please reach out to our customer service technicians once more to see if they have any tips on the assembly for you. Thank you! This lamp looks just like I wanted it to, and I do love it. I absolutely love this lamp. Just as pictured. Delivered right inside my door.Our great room is light and airy but we couldn't read in it. This light fixed the problem. We needed something that would go with the other lamp in the room and provide great reading light. The golden glow glass and oil rubbed bronze look blended so well, like they were made to go together. Contemporary and beautiful. Thank you. We love this lamp. Nice lighting and unique design. Heavy! This is a beautiful addition to our living room. The base is weighted well and the sweeping arc looks great. Even better in your living! Loved it! Fits perfect for the space and cane well packed! This contemporary reading light features a sophisticated Labyrinth Silver Metallic giclee shade.